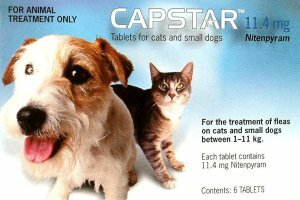 Can be given directly into the mouth or mixed into a small portion of food on any day when fleas are seen on the animal. Two strengths available for different weight animals. Animals over 57kg will require more tablets per dose, see link below. Price per pack of six tablets.